When it comes to finding a place to do business in New York City, companies are spoiled with a multitude of choices. The city’s vibrant neighborhoods offer a wide variety of atmospheres, amenities, and price points. With its historic buildings and hip vibe, Tribeca is a great place to rent an office. Located in Lower Manhattan, Tribeca is easily accessible by public transit – meaning your employees and clients won’t have to scramble for a cab. The area is also home to some of New York’s finest eateries and trendy boutiques, making this a truly desirable place to work. Notable businesses that have made their home in Tribeca include Citigroup, Warby Parker, Edelman, and Two Sigma Investments, among many others. As one of the most desirable locations in the city, the cost of space in Tribeca is at a premium — on average it costs $87 per square foot to rent in this neighborhood. Much of Tribeca contains designated historic districts, protected by the state of New York. This means there are a limited number of class A office space buildings in the area — our office space at 40 Worth Street happens to be one of them. Right next door to Tribeca is Soho. This is another area well-known for its elegant architecture, fashion-forward vibe, and trend-setting restaurants. Like Tribeca, Soho is also easily accessible by subway. With the market a little less competitive than neighboring Tribeca, average asking rent in Soho is $77 per square foot. There’s also a boom in office space in the area, making it easy for businesses of all sizes to find a place to call home. Our offices at 40 Worth Street sits at the corner of Church Street and West Broadway. The center comprises an entire block, which comprises the start of Soho, as well as Tribeca. At the southwest corner of Central Park, Columbus Circle is located in the heart of New York City and is the gateway to the Upper West Side. Steps from Carnegie Hall, Jazz at Lincoln Center, and The Shops at Columbus Circle, this neighborhood has much to offer. The neighborhood is easily accessible by public transit, and there’s also access via the West Side Highway, which makes this a great spot for commuters from Westchester, Connecticut and New Jersey. The area is an established business hub, with many banks and stockbrokers operating in the area. Some well-known companies in this neighborhood include Penguin Random House, Hearst Media, and Time-Warner AOL. Despite its prestige location, average office rent in Columbus Circle is not much higher than the New York City average, at $78 per square foot for Class A properties. Bevmax has office space located in the brand new Colombus Circle Office Center. The best thing about this location? The breathtaking views overlooking Central Park and the City. The Upper West Side of Manhattan is New York City as you know it from the movies. Home to elegant brownstones and leafy streets, this neighborhood is the cultural and intellectual hub of the city. Some of the city’s most famous institutions are here, including the Lincoln Center and the American Museum of Natural History. Well-served by public transit, this vibrant neighborhood is easily accessible for employees and clients alike. The Upper West Side also offers a more affordable location for businesses to rent office space. Average rents here are $58 per square foot. Our space at 33 West 60th Street offers the best of working in the Upper West Side, with contemporary workspaces in this inspiring location. Midtown Manhattan is the largest central business district in the world. This is where thousands of businesses make their home, taking advantage of the abundance of Class A office space. Some of the big names in the area include Enst and Young, Bank of America, Deloitte, Boston Consulting Group, and Twitter, among many others. Average rents in the area are $76 per square foot, and the many available options means businesses of all sizes can find a home here. In Midtown, you’re also at the heart of New York City’s transit system. Port Authority, Pennsylvania Station, and Grand Central Station give access to workers from the suburbs, while the subway connects the area to the rest of NYC. Our Midtown Office space is located conveniently at 880 Third Avenue close to the Waldorf Astoria, Four Seasons, and the desirable shopping destinations of Madison and Fifth Avenue. As a sub-district of Midtown, the Plaza District offers many of the same attractions. The Plaza District is also home to internationally renowned attractions such as Radioo City Music Hall, Rockefeller Plaza, and MoMa. With world-class Fifth Avenue setting the tone, the Plaza District is a location where sophistication and prestige rule. The Plaza District is home to some of the most-well known financial and consulting firms in the world, including Deloitte, JP Morgan, and Accenture. News Corporation, NBC, and Grand Electric are also residents of this neighborhood. Given its prime location, average rents can be high here, with Class A spaces going for an average of $94.19 per square foot. 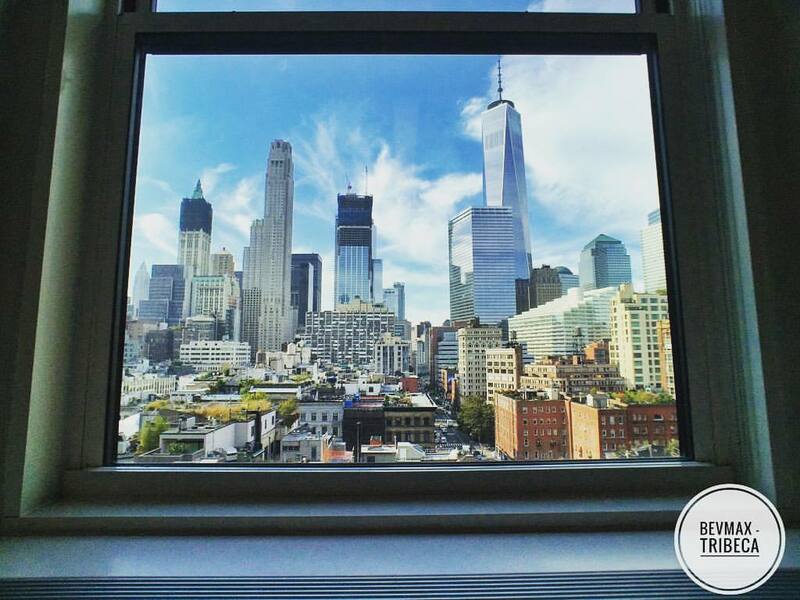 Our offices at 485 Madison Avenue offer spectacular views of Madison Ave. and St. Patrick’s Cathedral. 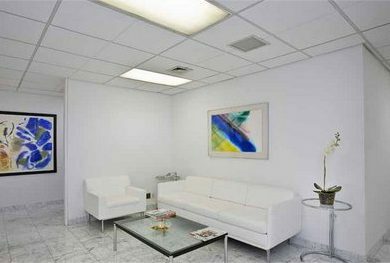 Renting office space in this location combines luxury with ease. Here you can hop off your morning subway or commuter train and join us for a continental breakfast and fresh brewed coffee before you start your day. Are you looking for office space in New York City? Unsure which neighborhood will best suit your business needs? Contact us for more information or to book a tour of one of our locations.